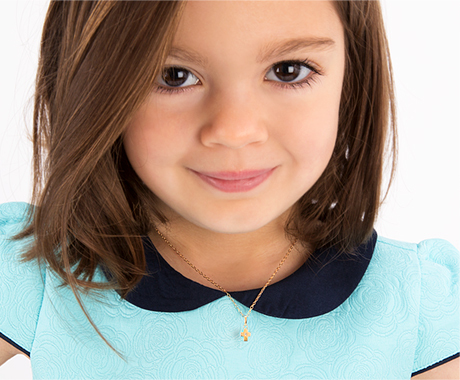 Enormously popular layered pendant groupings are a great gift for any teenaged girl. The pendant grouping can contain an engraved charm (many shapes and sizes to choose from) and charms like hearts, crosses, birthstones and initials, just to name a few. There are literally millions of combinations possible, so the pendant you design could be one of a kind, just like her.